With Early Season in full swing, I'd normally already have a handful of days on the water under my belt, maybe even a couple of weekend in the Driftless. But this year is different. Since the end of February, I've been laid up with a broken ankle. Talk about a bad time for a hockey injury. This has left me feigning for fresh air and living through the photos of the trout everyone else is catching. 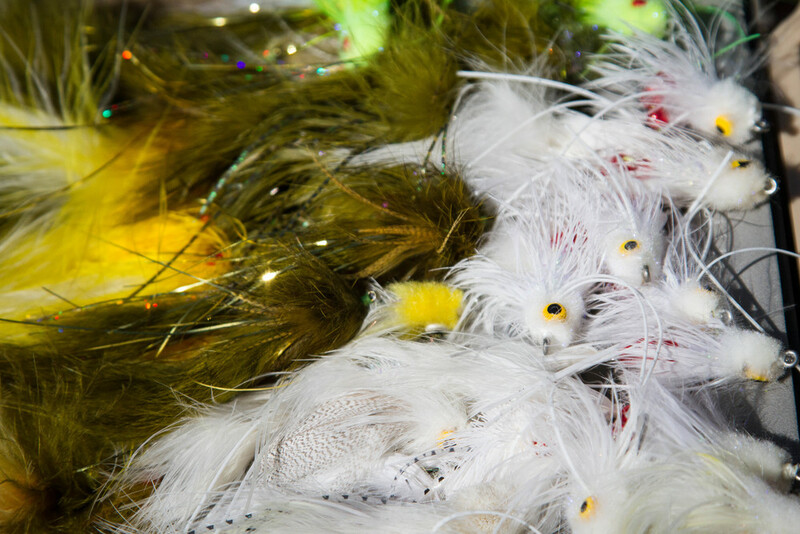 Heck I even missed Peter Cozad's One Fly Tourney at the Driftless Angler last weekend. The good side of being laid up is being able to spend some quality time with the Mrs. and I've been doing a lot of rod building. So all has not been lost. What's also been nice is hearing from a lot of buddies. From checking in, to calling to give me a hard time, to making sure they included me in the next hockey session, even though it's going to be a while before I'm back skating. One person in particular was set on making sure he got me on the water as soon as he could. That person is Captain Austin Adduci of Grab Your Fly Charters. From invites to the fish the lake front, to him trying to convince the Mrs. to spend a day on the boat with us. This past Thursday I got a text saying he had an open spot for Saturday and wondered if I was up for exploring the Kankakee. I immediately cleared my schedule and Austin was even kind enough for me to grab a buddy. I was pumped. Seven am Saturday morning couldn't come soon enough! As Jay rolled up Saturday morning, I realized it was hovering around nineteen degrees and adding a few layers might be beneficial. With a high predicted in the low thirties, I wasn't focused on catching fish. I was just happy to be casting on water and not in the driveway. As we hit the water and finally wet a line, the sun was shining and keeping us nice and warm. Though the air temps were below freezing, it wasn't until the wind started to blow, that we would take notice. As Austin rowed us down, we definitely had to shake off the early season casting woes, but as the day progressed we found a groove and even with the low temps, moved some decent fish. Between cleaning our guides out every few casts, Jason was able to land a nice 16.5" smallie that was nice and thick, sporting some great dark olive stripes on a dark bronze body. My only chance left me with a tangled mess and racing heart. 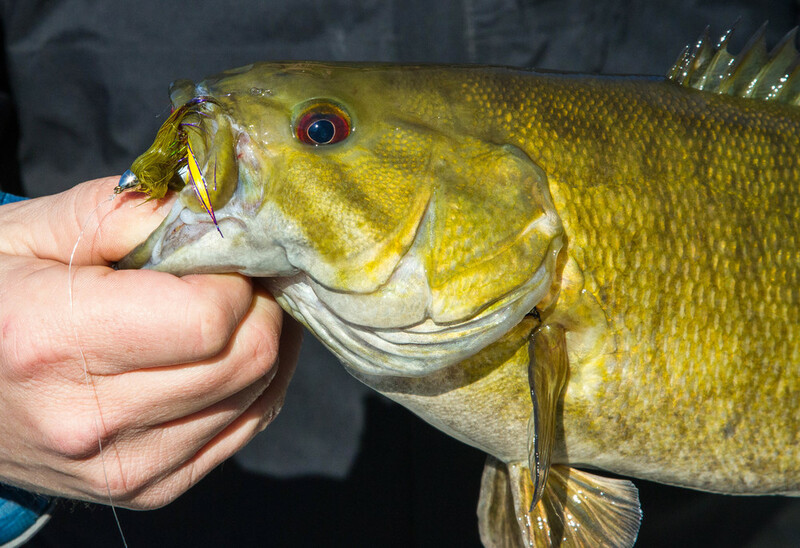 I watched a real nice smallmouth come out and hammer my streamer, leading to me abruptly pulling the fly from his mouth. There's not much more frustrating when you know it's your own fault. But just being there was more than enough for me. Having the cold breeze on my face, cold fingers and great conversation was more than enough to make the day a success for me. Thanks Austin. I can't tell you how much that one day meant to me. Now that I'm walking (I'm using the term loosely), I've got a reason to have a bit more pep in my step.